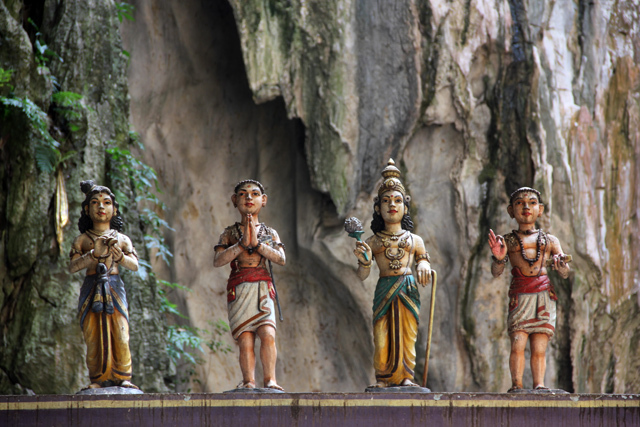 The Batu Caves complex is one of the most cherished historical religious attractions in Malaysia. Even though the caves are located just 15 kilometers from the high-rise district of central Kuala Lumpur, the beautiful nature atmosphere and the cultural significance of the site, make it seem like it's far from any sky scrapers or highways. Dedicated to Lord Murugan, the Batu Caves are the most sacred Hindu shrine in Malaysia, and one of the most revered Hindu pilgrimage locations outside of India. Though the streep climb to the top looks quite challenging from the ground, in actuality, it wasn't really all that difficult. The 272 steps went pretty quickly, especially since I was peering up to top with my eyes on the goal of reaching the summit the entire time. I think it took me just 5 minutes, and though I was sweating, I was greeted by a cool breeze coming from the mouth of the cave. Along the hike, you'll encounter some not so friendly monkeys that are cute to look at, but have hearts of mischief. Bust out some food on the steps and you'll have to share! The first cave you encounter is known as Temple Cave, a massive cathedral looking open area with a ceiling that's over 100 meters in height. The main path leads straight through this cave, passing a number of shrines on either side, and finally reaching the next shorter flight of steps. 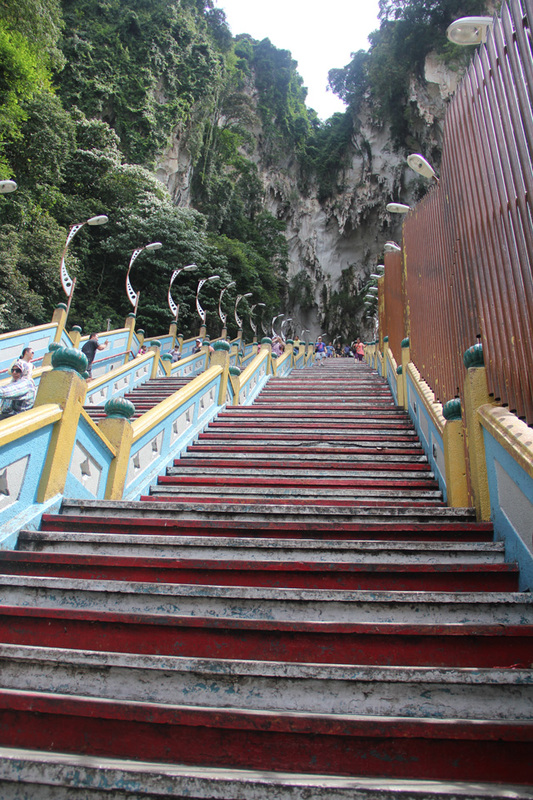 After walking through Temple Cave and ascending the final flight of steps you'll get to the Lord Murugan temple. This temple is minimal in design, but intricately painted and decorated with bright colors. At the top of the cave is a big hole in the rock which allows natural light to illuminate the area. 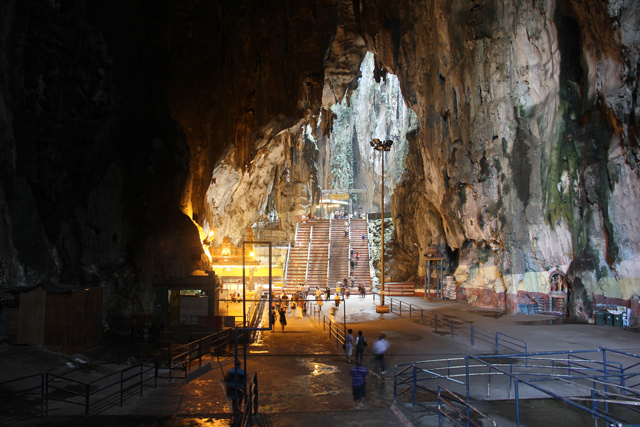 Though most of the Batu Caves complex is dedicated to Hindu religious shrines, certain areas have recently been developed for sports, leisure and tourism. The Dark Cave, located below the main Temple Cave, is set aside for caving tours. There are a number of unique animal species living within the cave including rare spiders and fruit bats. 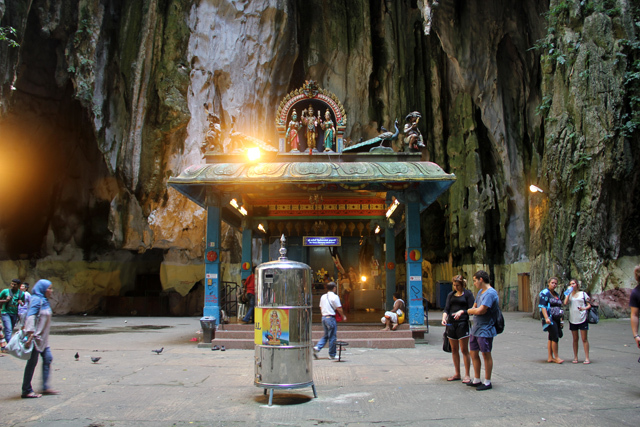 The dramatic limestone cliffs also make the Batu Caves a wonderful place to rock climb. Away from the shrines you'll find beautiful climbing routes along the cliff walls. Some routes are quite easy with simple hand holds, while others can be technical and include overhangs. Along with rock climbing, there's also a cliff in the area that's used as an official BASE jumping (free jumping with nothing but a parachute) launch pad. At the base of the caves are a series of pure-vegetarian Indian restaurants. As soon as I arrived, I debated wether I should eat before climbing the steps or after. Luckily I chose the latter option so I was able to reward myself with a delicious Malaysian food meal after descending. 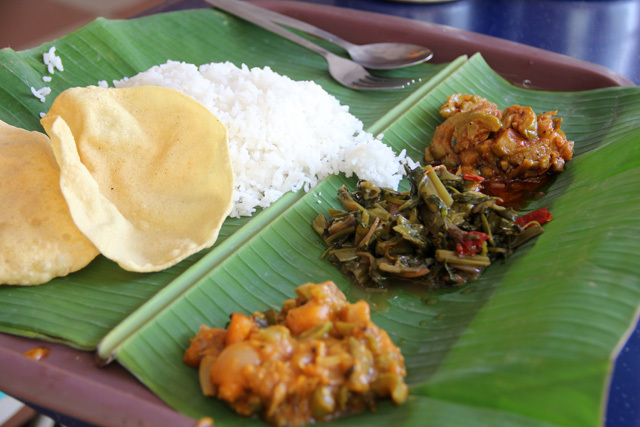 Served on a banana leaf, this Southern Indian style meal consisted of rice, daal (lentils), a potato curry, some vegetables and an awesome tasting bitter gourd curry. The great thing about these restaurants is that they will replenish your rice and curries until you're stuffed and satisfied. After two large helpings, I had happily replaced all my lost calories from the climb. 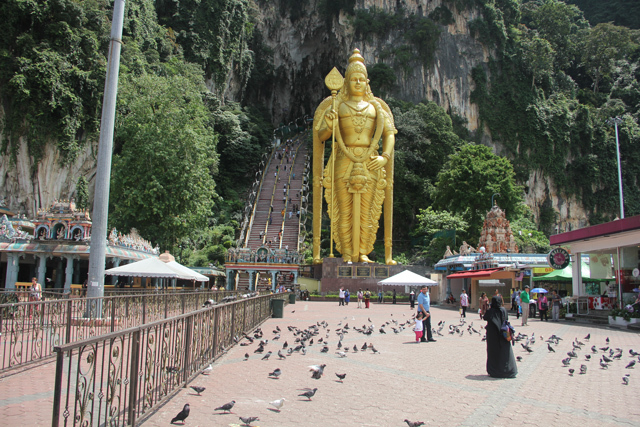 The Batu Caves, with their natural beauty and religious significance, shouldn't be missed when you visit Kuala Lumpur. Good write-up, Mark. Batu Caves is on my radar for my next trip to Malaysia so very timely for me. I won’t be doing any base-jumping if I do make it there, but I will be trying some of that food you featured! Thank you for the photographs. I went there about 15 years ago, but I have since lost the photos, although I remember the monkeys very well. If they see the slightest sign of potential food they will surround you. When I was there they incouraged you to buy food for them. Does that still happen?